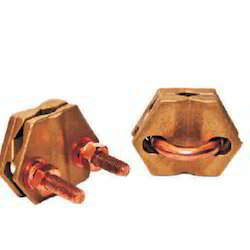 We provide a distinguished range of Copper Alloy Clamps - Clamp - A type which is manufactured using premium grade of raw material with excellent performance. These are available in various quality attributes. 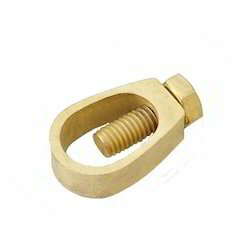 We do International standard packaging of these Copper Alloy Clamps as to export these in various parts of the world. 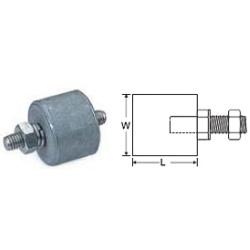 HEX Rebar Clamp are used to connect re-bar to re-bar or stranded cable.They provide a strong mechanical connection along with excellent resistance to corrosion. We are involved in manufacturing & supplying a broad array of Eye Bolt which is a screw with a loop on one end and threads on the other end. These devices are commonly used to attach cables to objects. Fabricated from optimum quality gunmetal these screws are highly anti-corrosive and can offer an earth point for boat & truck. The range of Air Terminal Base which we offer is made of superior quality gunmetal or brass materials which make them highly anti-corrosive and optimum in performance. With four fixing holes these are offered in such a way to make them easy to use and maintain. 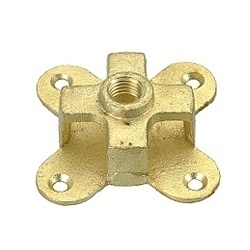 Our products are highly demanded in various industrial applications. These are Gunmetal earthing accessories. We have expertise in manufacturing & supplying a broad range of Lightning Protection - Flat Saddle. 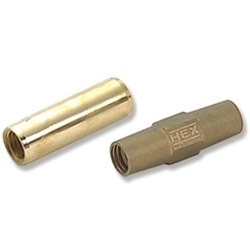 Fabricated from brass or gunmetal these equipment are used for supporting taper pointed or blunt air rods on flat surfaces. With various rod length, rod diameter and thread diameter these equipment are highly demanded in the market and sold at the industry leading price. 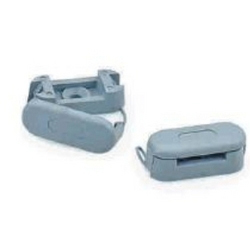 We hold a recognized position in the market by offering a new range of Plastic DC Tape Clip. Made of high impact PVC materials these tapes are well known for their optimum performance and superior quality. Further, these are also available in customized forms to meet the varied requirements of the clients. 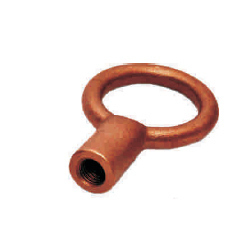 Earth Rod Coupler are counter bored to completely enclose threads & protect from damage and corrosion. It's electrode provide a low-impedance ground in locations of high soil resistivity. We hold an expertise in manufacturing & supplying a broad array of Earth Boss which is made of mild steel materials with the fittings made of stainless steel sheets. 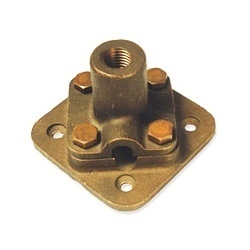 Designed with higher precision, these are engineered to provide an earth point on a steel structure. These products are highly demanded due to their robust structure, anti-corrosive design and flawless performance. We are renowned as one of the largest manufacturer, exporter and trader of a qualitative range of Cable Accessories and Connectors that include Earthing & Lightening Protection, Copper Bonded Grounding Rod, Coupler, Conductor, Non Metallic Slate Hold-fast, Roof Conductor Support, Earth Boss, Cast Ground Plate or Earth Plate, Comb Bar / Earthing Strap / Insulated Bus Bar, Ground Clamps, Brass Ground Clamps and many more. These are available in various specifications and are widely demanded in several parts of the country. These Cable Accessories and Connectors are manufactured using excellent quality of raw material that is procured from quality driven & trusted vendors. These Cable Accessories and Connectors are widely renowned because of salient features like high tensile strength, durability, less maintenance, excellent quality material, corrosion resistance, highly efficient operation, durability and many more. We are one of the renowned client- oriented as well as quality driven organization and client satisfaction is our prior aim. We also engaged in customization of these Cable Accessories and Connectors as per the requirement of our esteemed clients. Some of our major client are NTPC, Aditya Birla Group, Siemens, ABB, Reliance Industries Limited, Rolls-Royce etc.